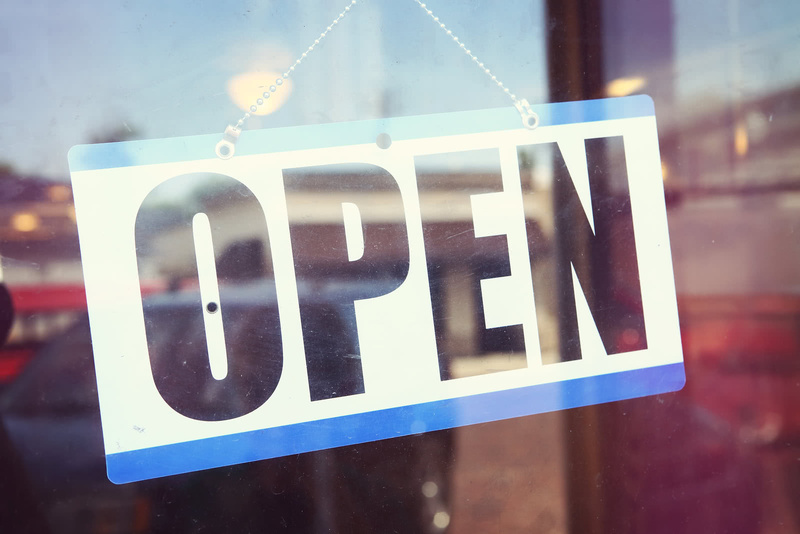 Hanging up the “open” sign lets people know you’re in business, but if you want to get them coming through the door you’ll need to add some retail advertising to the mix. Unfortunately, many small retailers don’t have a dedicated advertising budget, hoping their products and services will sell themselves. But just like rent, payroll, and inventory, advertising should be a regular monthly expense. Determining your small business advertising budget will depend on your revenue and stage of business. Small Business Trends reports retail businesses spend about 4 percent of sales on advertising, but a new business may decide to spend as much as 10 percent. This amount can be scaled back once the business is up and running. While it’s a good rule of thumb, how much you spend should depend on how much cash you have available. If your business is new, your revenue is likely low. Thankfully, a little creativity and sweat equity works, too. Acquiring customers should be your top priority, and a good way to do that is through social media. Create accounts in the places your potential customers spend their time — it’s free! — then dedicate at least 20 percent of your time to posting and engaging with customers at the top of the sales funnel. Once you’ve created a few posts and demonstrated that you’re active, experiment with social media advertising on the platform where your target audience spends the most time. With Facebook, for example, you can set a budget as low as five dollars per week. You can also create search engine and banner ads with Google Ads. Use Google’s Keyword Planner to identify the phrases customers use to search for businesses like yours, and then set a budget and see what works. The cost depends on the popularity of your keywords; Google’s team will help you determine the best budget for your business. Once your business is generating regular revenue and you’re seeing a return on your initial budget, it’s time to spend more money on retail advertising. A budget of $1,000 to $5,000 will allow you to greatly increase your social media spending, bid on higher priced keywords and venture into new areas of advertising to reach customers further along in the sales funnel. Consider creating a professional video to use on your website as well as on YouTube. Almost 50 percent of internet users look for videos related to a product or service before visiting a store, and 45 percent of people watch at least an hour of online videos a week, according to Hubspot. You can set a budget of at least $10 per day to promote your video or run an ad. Purchasing retargeting ads helps you reach customers who are already familiar with your store. These are the ads that show up when someone abandons their online cart, inviting them to come back and complete their purchase. Companies like AdRoll and ReTargeter offer packages and allow you to set a budget. You can also create branded merchandise, such as travel mugs, T-shirts or reusable shopping bags that you can give away to customers or sell. These items will serve as walking billboards if they’re cool enough that people use them. When your revenue reaches a level where your advertising budget is $5,000 a month or more, it’s time to hire a full-time advertising and marketing specialist to your staff or outsource the work to an agency. Having a dedicated team member allows you to be nimble and responsive. An agency, on the other hand, lets you tap into a team of experts who can help to strategize your best marketing plan. Whatever your budget, be sure to measure the results of all of your advertising efforts so you don’t waste your money. When customers come through the door, get in the habit of asking, “How’d you hear about us?” And be sure to install Google Analytics on your website so you can source your online traffic. While it should be regular, your advertising budget doesn’t need to be a fixed expense. Adjust it according to the season and your marketing needs. For example, you may choose to invest more money during the fourth quarter to claim a larger percentage of holiday sales or invest more during your down cycles to generate new sales. The saying “it takes money to make money” is true — small business advertising helps your business stand out, setting you up for success. This piece is part of a series for owners of small retail businesses. Our other pieces cover why now’s the time to get into the retail business, and 4 ways to set your retail store apart from the competition.